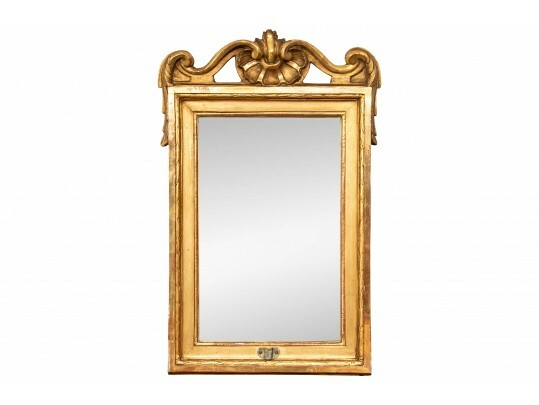 Heavy antique frame with gilded gesso over carved wood withy shell and scroll crest havining scroll and drape detail, overall carved and molded frame with mottled silvered antique mirror. Frame has bracket to base for gilded wrought iron candle holders that are present but not shown. Some expected losses to gilt but presenting well overall considering age and use.